Are you engaging potential buyers when they first notice your advertisement in any way? Is a phone number your primary channel of contact and you wait for buyers to call you? Is a visit your only way of showing the property to your potential buyers? Do you rely on word-of-mouth marketing to get leads? Are you too busy to entertain all your leads? If your answer is ‘Yes’, then you are definitely missing out on new ways of converting leads. The new-age consumer is busy, just like you. Their attention span is also low. In the age of Google and Facebook, they need information at their fingertips. You cannot expect them to make time to reach out to you, visit the property, and then take a decision. To keep up with the new-age consumer you need to start investing in mobile marketing. Mobile marketing can help you better engage today’s consumer and increase your conversion rate. 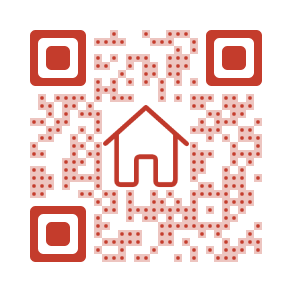 In the real estate profession, the mobile marketing tool that can help you is a QR Code. A QR Code is a 2D barcode that can store a large amount of information such as web page link. When scanned with a smartphone scanning application, it redirects to the required web page. These square-shaped codes are common and are marketers use them to engage customers. You can create and manage them using an online QR Code generator tool. A potential buyer has just seen your ‘House on Sale’ ad. What’s the next step? Make it easy for your potential buyer to reach you. Don’t wait for them to call you. A QR Code with a link to an ‘Expression of Interest’ form can help you convert these potential leads. When scanned, the QR Code leads them to a simple form. This form asks for basic details such as Name, Nature of Interest, and Phone Number. You can reach out to them as per your convenience and choosing. This helps you generate high-quality leads and builds a database of potential buyers. Besides that, it also helps you in future promotions. Tip: You can create a form using Google Docs. Imagine your potential buyer is at your site and you are unavailable. What do you do? Well, you can still provide them with basic details by adding a QR Code to your ad outside the house premises. The QR Code can redirect the buyer to a page with more information about the property such as approx. lot size, features, property tax, community, nearby markets, nearby schools, etc. At each property site, you can also add a QR Code of a page that lists all your other properties in the area. A buyer can browse through all your inventory before giving you a call. Your potential buyers want to see what the house looks from the inside when they first see your ad. Use a QR Code which will lead the potential buyer to an online photo gallery of the property. Also read: How to create an image QR Code. Create a video tour of the house and put the link of the video in a QR Code. Add this QR Code to all your advertisements. Let your potential customers experience the house on their smartphone. Buying or selling a house is a big decision and your customers need to trust you before they can hire you for the job. Let them learn more about you. Make an online profile with your listings, your accomplishments, and your alma mater. Put the link of this profile in a QR Code and add it to your ads in the neighborhood. Are you organizing an Open House? Create a calendar event QR Code and put it up on your Open House ads. This way potential buyers can scan the code and save the event in their smartphone calendars. A reminder is important if you want people to show up on the right date and time. Direct your potential buyers to the right house by sharing the exact location of the house. Create a Google Maps QR Code and add it your advertisement. Do you or your real estate company have a mobile application? You can make it easy for your potential buyers to download this application by creating an App Store QR Code. So, what happens when you scan the code? The code first identifies the device of the user. Then, it redirects you to the download page in the right App Store. It could be any of these – iOS, Android, Windows, or Blackberry. If all your listings’ information is on your mobile website, make it easier for your buyers to view it. Add the website link to a QR Code and put it up on your promotional material. Create a custom QR Code to attract and engage potential buyers. Sign up now for a 14 day Free Trial.